In one of our SharePoint 2013 projects, we are using “Content by Search” web part for one of our requirements. In our development environment, we have SharePoint 2013 Enterprise edition, so we don’t have any issue while using “Content by Search” web part. After investigating more, we found the following exception. We googled out the feature “592CCB4A-9304-49AB-AAB1-66638198BB58” and this is “SearchDrivenContent” which is a hidden feature for the standard edition of SharePoint 2013. Here is a good article for the comparison of all features in all editions of SharePoint 2013 “SharePoint 2013 Standard vs. Enterprise vs. Foundation Feature Comparison Matrix”. Then, we realized that on our test environment, we had standard edition of SharePoint 2013 and not enterprise edition. We have option for reinstalling of SharePoint 2013, but we thought to reactivate the above-mentioned feature and try once. We refreshed our page and web part started showing results. Also, content search web part became available to add on the page. Content Search web part available in Standard edition of SharePoint 2013 after enabling feature ” SearchDrivenContent “. In this way, we have enabled the “Content by Search” web part on the Standard Edition of SharePoint 2013. Here, I would say – anyway, this is not the standard way to do it. This is just a temporary way to work. The best practice is to update the SharePoint 2013 from Standard Edition to Enterprise edition. In one of our projects, we had a requirement to associate multiple links for items in one of our custom lists. We had our custom form ready to create the items using Visual web part. On our custom form, while creating list item, we needed to give an option to the users to add the custom links (client-side adding and removing feature as well) and show those custom links when a user will see those items. In SharePoint, there is no OOB way to store the custom links. In field of type URL, we can store only one link at a time. So, we took a smart sep and used the Note field to store the multiple links. 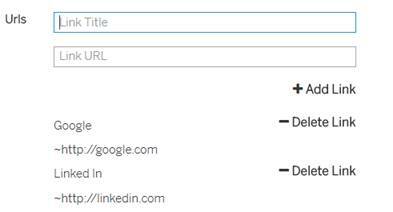 You can see that the above line, link title (Google, LinkedIn) and link URLs (http://google.com;http://linkedin.com) are separated by field sign “~”. But here, the most important thing is to provide the UI while creating the item through our custom form. I thought this is the reusable feature and can be used very easily in any of our SharePoint applications. We have our custom Visual web part for custom list form, through which, the user adds the values in list fields. We have the following HTML controls in our user control to render the UI, as shown in picture 1. //In array we are pushing link title and URL, separated by "~"
//calling deleteLink () on clicke of "Delete Link"
In this post, I will tell you about how to use client side people picker in SharePoint 2013. The SharePoint people picker is already available in SharePoint as a server control, but now a days all are moving to client side based code since office 365 supports only client side. So we need to know how to be use people picker in client side. Create a div tag in your page. peoplePickerElementId(Text) – Id of the control. AllowMultipleValues – Its used to define whether the control can allow multiple user or not.Possbile values are True or False. True – will allow to add multiple Users. False – will only allow single user. PeopleOnly – will allow only user to add. PeopleAndGroups – will allow to add users and groups also. 0 – its allows to get users from any groups to add. Group Id – its allow to get users from specified group. 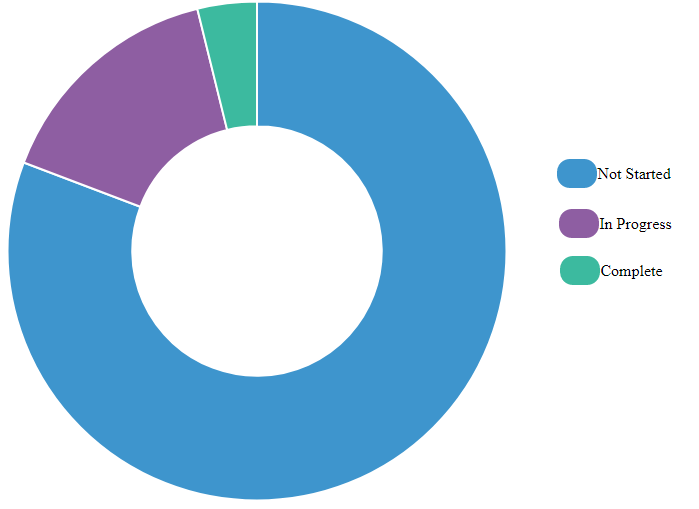 In this post, we will see how we can represent SharePoint data in graphical form. Now, Create a custom SharePoint list ‘TaskDetails’ with the below details. Add list items into ‘TaskDetails’. Add reference for jQuery and ChartJS plugin. Code for getting SharePoint ‘TaskDetails’ list data using Rest API. Convert data into chartJS dataset and load the chart. The integrated code will be as below. Refer to the attached resources for more. 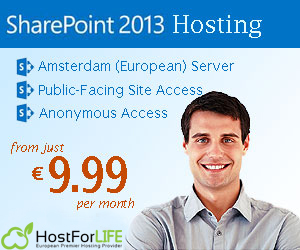 SharePoint 2013 Hosting – HostForLIFE.eu :: How To Create InfoPath Form As Default Display Form Of List? The blog covers how we can change the default display form of List using InfoPath Designer. Follow the steps to create your first InfoPath Form using InfoPath Designer. To use InfoPath Designer, you must use Internet Explorer as a browser because these features are not supported in Chrome or any other browsers. Create a List named “Student Registration” and add the following columns. In the top ribbon, click List > Customize in InfoPath. A pop up will appear asking for permissions to allow InfoPath form. Please use Internet Explorer to use this feature. The right side shows all the columns from the list which we have already created. 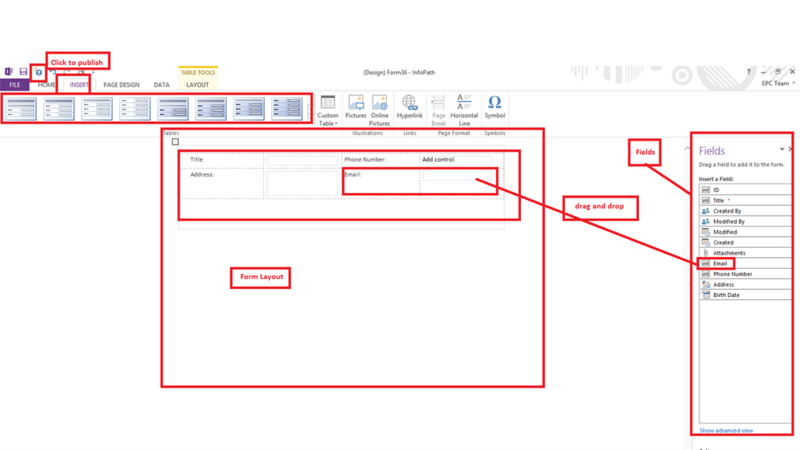 Middle portion shows InfoPath Form design layout in which one can design pages. In order to create a Form, choose “Layout” and drag the appropriate fields. 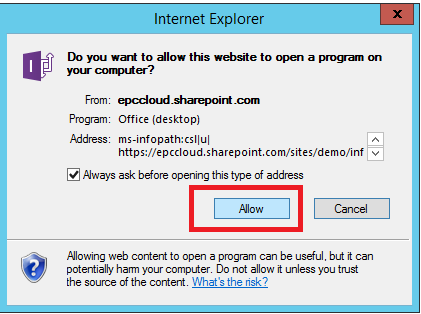 Check List in SharePoint Online. Click New Item > It will open our custom design form. SharePoint 2013 Hosting – HostForLIFE.eu :: How to Connect SharePoint Online Using PowerShell? PowerShell is a powerful Command Line Shell Script mainly used by the administrators, and manages anything in Microsoft products. Each Microsoft product, be it Excel, SQL, Office applications, or SharePoint, has its own set of cmdlets [commands used to run any operation that can be performed using GUI and more than it]. Check the cmdlets that can be used in the SharePoint on-premises in my previous article. Once the module is downloaded, open SharePoint Online Management Shell and run the cmdlet to import the SharePoint online module cmdlets. The connecting site should be a tenant administrator site and the user should have tenant administrator access. The session will be active as an internal variable. To clear out the service, run Disconnect-SPOService cmdlet which will clear the connected session. For code reusability, it is better to create a function to connect with SharePoint Online adminstrator site. There is a small change in the cmdlets of SharePoint On-premises and SharePoint Online. In “noun-verb” part of PowerShell cmdlets, the verb has prefixed Get-SPO****. Get-SPOTenant – gets SharePoint online organization properties. Most of the cmdlets are available till site collection level not till the site level [SPweb level as compared to SharePoint on premises ].